This is the third and final article in our series on supply chains and networks. You can read part 1 here: The Dead End of “Supply Chain” Thinking, part 2 here: The Network Solution to Supply Chains. A version of this article was first published in SupplyChainBrain.com. In the first article The Dead End of Supply Chain Thinking we discussed the problem with traditional supply chain thinking, and why it constrains growth and leads to stagnation. In part two The Network Solution to Supply Chains we looked at networks and how they address some of these problems. Today, I want to go into more depth on a particular kind of network that is ideally suited to overcoming the problems of supply chain stagnation most companies face today. Networks represent a major advance over supply chains. And as I discussed in part two, having process orchestration across functional units is very powerful. However, true disruptive value is unleashed when process designs extend event-based process orchestration beyond the four walls of an enterprise to include partners across the value network. The traditional Sales & Operations Planning (S&OP) process takes an inside-out approach that engages customers and suppliers only on a peripheral basis. Now, imagine a new world where the organization, its customers, suppliers and logistics providers are all connected to a multi-party network giving real-time visibility to the status and plans to the level that you have agreed to share with each other. Also, partners can simultaneously collaborate to resolve exceptions together rather than waiting for each company’s S&OP calendar. Process orchestration can also support appropriate escalations, and approvals from individual company executives. The resulting S&OP process would be real-time, multi-party and collaborative across enterprises. Imagine that a CPG company has just launched a strategic product and sales are far exceeding expectations. In a network paradigm, the network will sense uptick in point-of-sale trend in real time, revise sales forecasts and predict stockouts a few days out based on current inventory status and replenishment plans that are already in execution across the network. This stockout alert would then go to both the retailer buyer and the customer service manager simultaneously. The retailer buyer may review the significant update to the forecast and approve the additional purchase orders suggested by the network, and the CPG company would see these new purchase orders immediately. Meanwhile, the customer service manager would have already escalated the significant uptick and projected stockouts for the strategic launch as an S&OP exception issue requiring all hands on deck. The S&OP board chaired by the vice president of supply chain would evaluate alternative mix changes and surge production scenarios to support the increased demand. Overtime production and significant mix changes could be approved after evaluation of trade-offs between additional revenue and increased operational costs. 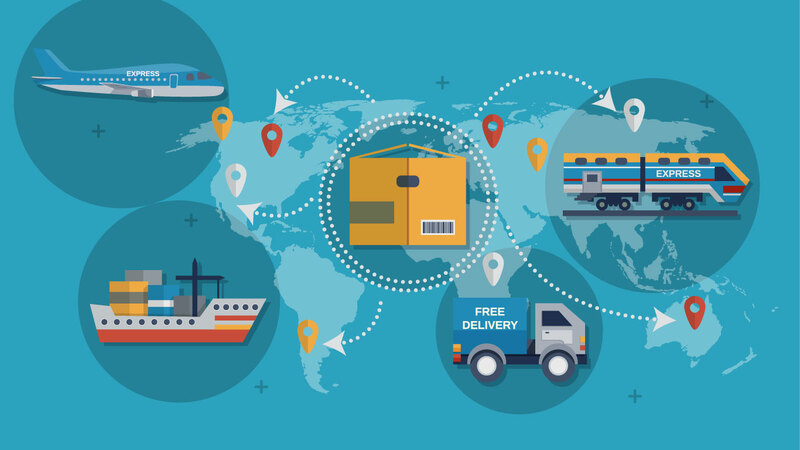 However, while the CPG company was getting its supply in order, the network would be simultaneously detecting and alerting the retailer that it will not have sufficient dock capacity to receive the increased traffic of shipments into its warehouse. This operational exception prompts the retailer to consider alternative courses of action, such as requesting direct ship from the CPG company for a portion of the orders even if at a premium price. This would, in turn, trigger another S&OP analysis loop at the CPG company before they finally agree and mobilize to do so. Now, in this network paradigm example, all of the above could happen within the course of a few hours with real-time communication back and forth across demand planning, supply planning, logistics and S&OP Management Review. It would also take place across multiple roles at multiple companies spanning Retailer, Buyer, CPG Customer Service Manager, Retailer’s Logistics, CPG company’s Logistics, Retailer Executives, and CPG company’s executives. In a traditional, sequential batch process world with single-enterprise silos this would be simply impossible as none of the parties would be able to respond in time. Multi-Party Networks: Vision or Reality? The fact is that multi-party network technology already exists to make such processes possible. Companies no longer need to be locked in a paradigm of single-party, batch-sequential processes that were developed in order to cope with technology limitations that may have been around two decades ago. Supply chain leaders need to think outside the box to seize the opportunity for breakthrough performance improvements. Just imagine the competitive advantage that can be realized, by eliminating the traditional divide between planning and execution and enabling visibility and data to flow across the entire value chain of business partners – in real time. Sounds like the definition of supply chain disruption to me. Adeel Najmi is Senior Vice President, Products at One Network Enterprises. As a pioneer in supply chain management, Adeel has guided successful transformations at over 25 Fortune 500 companies across diverse industries. He has also been a visionary and prolific innovator having created several breakthrough supply chain solutions and secured over a dozen patents. Previously he was Chief Science Officer at JDA Software.Adeel was named as one of Supply Demand Chain Executive Magazine's "Pros to Know" in 2009, 2010 and 2015. He holds a doctorate in Industrial Engineering and Operations Research from University of California at Berkeley. You can follow Adeel on twitter @AdeelNajmi and on LinkedIn. Next Post:What Does It Take to be a Leader in Logistics?